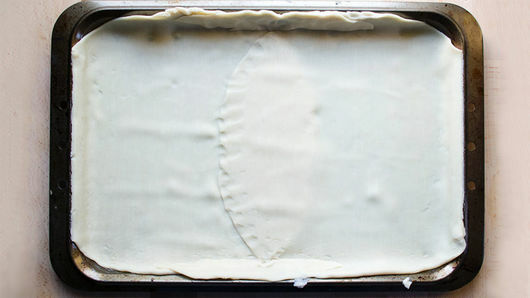 In ungreased 13x9-inch shallow baking pan or tray, unroll each crust from 1 box Pillsbury™ refrigerated pie crusts so crusts cover bottom and sides of pan, pressing as necessary to completely cover bottom and overlapping edges a little. Bake 20 minutes or until golden brown. Set aside to cool. Meanwhile, in small bowl, beat 3 eggs, 1 cup sugar and 1 1/2 teaspoons cornstarch. 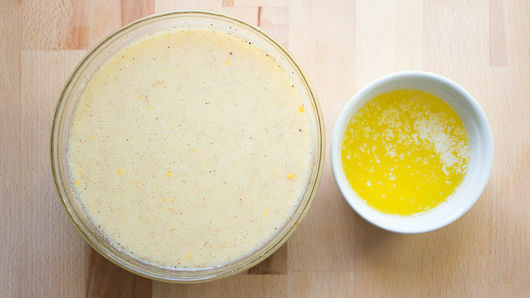 Add 1 1/2 cups buttermilk, 1/2 cup melted butter and 1 teaspoon vanilla with whisk until mixture is well combined. 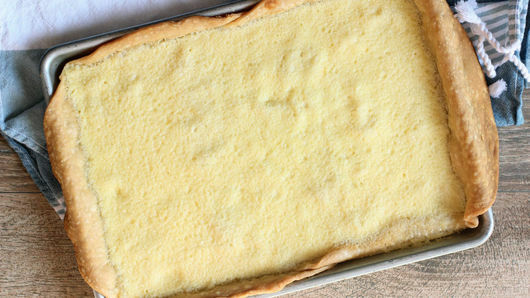 Pour egg mixture into partially baked crust. Carefully transfer pan to oven. Bake 35 minutes or until top is no longer wet. Cool completely before cutting into bars. Cut into 5 rows by 3 rows. Store in refrigerator. 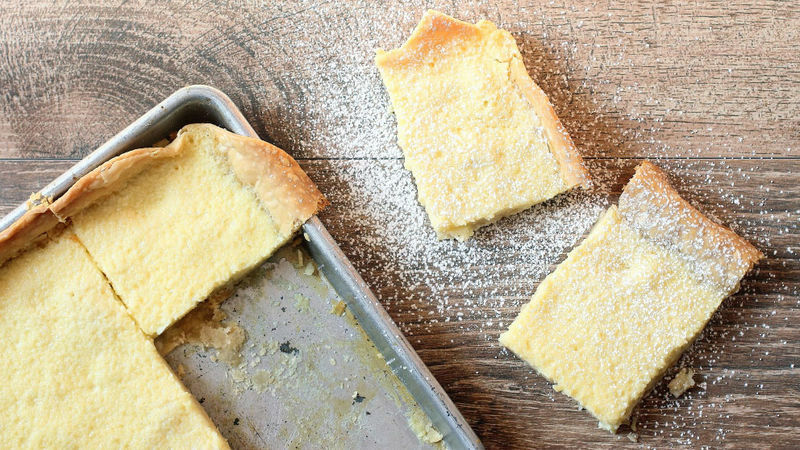 To serve as a dessert, cut the bars into larger squares and serve with a dollop of whipped cream.